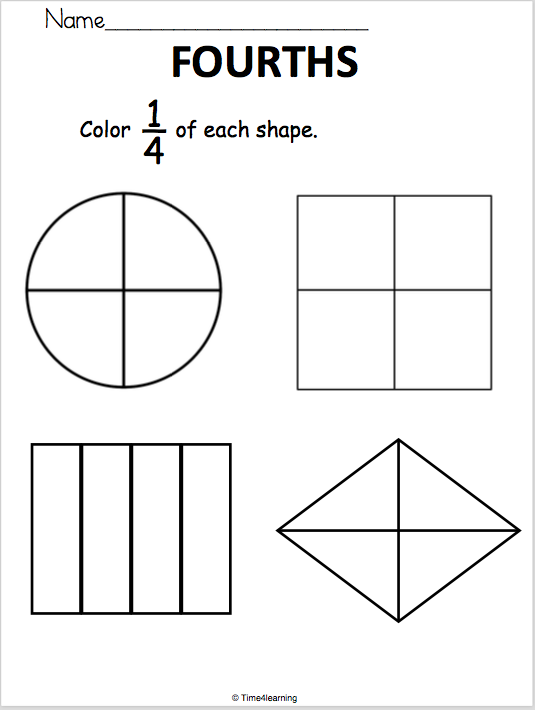 Students color one fourth of each shape on this worksheet. 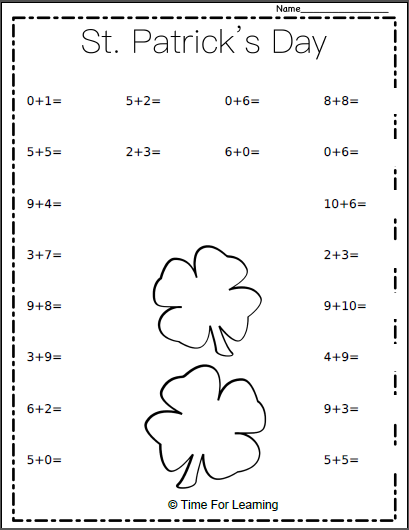 St. Patrick's Day Addition Worksheet. Find the sums up to 20. An answer key is included for students to self check their work. 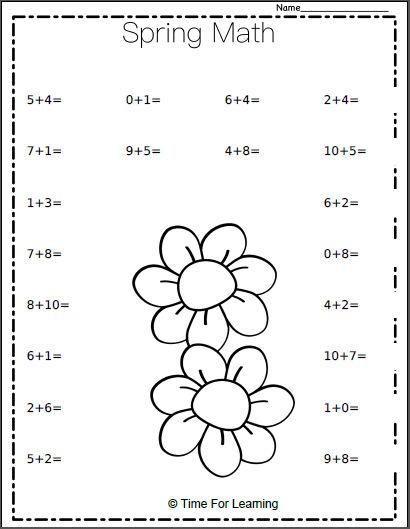 Free Spring Math Addition Worksheet. Find the sums up to 20. An answer key is included for students to self check their work. 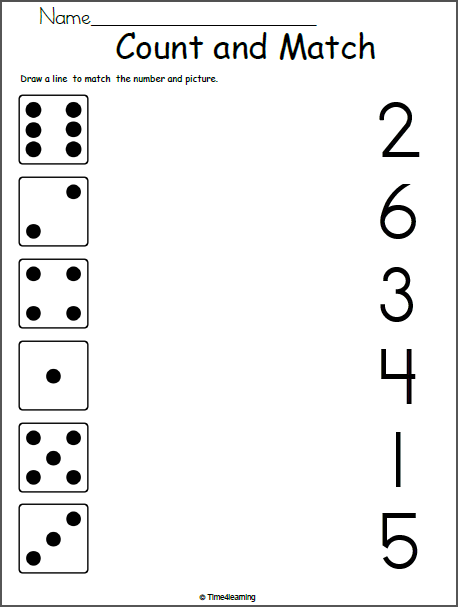 Free Math Worksheets for Kindergarten - Match 1 to 6 Count. Draw a line to match the numbers and pictures.